Mapmytalent is the fastest growing career counseling / Career Guidance platform in India. 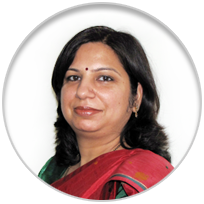 You can get counselling from Best Career Counselor Dr Anubhuti Sehgal from any part of the country. MapMyTalent provides scientific career counselling / career guidance based on its proprietary Online Aptitude, Personality and Interest based Career Test. . You can receive your career assessment report at the click of a button, can opt for career counseling session with experts through phone / skype / in person / face to face counselling. ( Face to Face counselling Available at C -1549, Ground Floor, Sushant Lok1, Near Peach Tree Mall, Sec 43 Gurgaon and Basement B 2/ 20, Safdarjung Enclave Near Mahindra Car Showroom, New Delhi 110029 ). The MapMyTalent career counselling program is scientific and uses proprietary assessment tools. The MyTalent Test for school students primarily assesses a person across seven different aptitudes and twenty eight different personality traits and understands the Unique Talent pattern in the student. The responses submitted by each students in the Test are then analyzed by the experts at MapMyTalent after which the student is presented with two recommendation reports (one a Detailed Report and another a Summary Report). You can check the Reports by clicking on the links of detailed and summary report given above. You can read about the Reviews and Testimonials of parents and students who took career counselling session from MapMyTalent expert. Read on to know more about Career Counselling and what advantages you can get. Career counseling, also often referred to as career guidance / career coaching / career advice is a type of professional counseling given by expert career counselors to people who are seeking career help. A career counselor helps an individual build their career path by relating their strengths to the market reality. A career counselor also advises on what course the student should choose, how they should prepare for entrance and how many years of education one needs to put in, what institutes or colleges are available considering the course choice, the locality / city, economic situation etc while counseling. In the last few years a whole lot of so-called “career counseling” agencies have cropped up in the online space. They lure the young and baffled students with the promise of “free career counseling”. Many students take this bait of being offered “free career counseling”, without realizing that there are no free lunches in the world. There is always a cost involved in everything that one does. And when it comes to matters related to one’s career, one must understand that it is a long drawn game and one must not look for “free” solutions for such important decisions of their life. Dr.Anubhuti Sehgal, an Expert Career Counsellor at MapMyTalent, who has conducted career counselling sessions at some of the prominent schools in India like Sardar Patel Vidyalay New Delhi, DPS Dwarka New Delhi , DPSG Palam Vihar, Gurgaon, DPS Panipat Refinery , DPS Amritsar , Silver Oaks School Hyderabad , Army Public School Ambala , APS Jammu, APS Gwalior , APS Kirkee Pune, CCA School Gurgaon, Jhankar School Gurgaon, Drona School Gurgaon, Saupins School Chandigarh , Chinar School Alwar and many more and has represented MapMyTalent as "Knowledge Partner " with Times of India for many seminars and workshops, partner with Hero Moto Corp Gurgaon, Honda Motorcycles and scooters manesar, Gurgaon. says,"Career Counselling is much more than giving suggestions about different courses and colleges. Infact giving information about colleges and courses is just the very last part of a good and robust career counselling process". She further elaborates by saying that the process of career counselling should entail a detailed understanding of the students Aptitudes, his / her Personality and his / her Interests and inclinations. She says,"just like a good doctor first and foremost understands the ailment in a patient by using robust diagnostic tools, in the same way a good career counsellor should first and foremost understand the student fully well before deciding on the road map that has to be suggested". You can watch her video on Courses after 12th or Best Stream after 10th and many more on you tube. She feels that first and foremost Career Counsellors should be trained in understanding the way psychometric tools work and the real importance of these tools. Further, she says that the Career Counsellors must be empathetic towards the student and should have the single most important factor of the students' well being as the sole criterion of recommendation and suggestions. The approach suggested by Dr.Anubhuti Sehgal, is that first and foremost the student should take a robust, valid and standardized Aptitute, Personality and Interest Assessment. Post this, the career counsellors should assess the scores of the students and match the Aptitude - Personality combination with the requirements of different courses / careers. Further, the career counsellors should take into consideration all the other qualitative factors like the academic profile of the student, his / her economic background and according develop a career plan for the student. This according to them is the right approach towards Career Counselling. Many a people often use career counseling, career guidance, career advice and career planning in the same context. However, technically speaking, there is a huge difference between all of them. Career counseling can be considered to be the closest synonym for career guidance. In career counseling / career guidance, you meet the expert and you reach the solution together. You may or may not have an assessment in career counseling. The counselor, making good use of his experience, will help the person in reaching a capable solution. A career adviser on the other hand, is an expert who enables and empowers you to take the decision on your own by using standardized test / assessment / questionnaire to asses your strength, make you aware of the college / institution you will be choosing, how you would be choosing, and the best career path you can follow to reach your goal quickly. Ultimately, you make an informed choice crafting a most amicable career goal and reach there with full confidence. Career planning refers to planning your own career – you know your goal, you devise your steps and you follow it. On the other hand, if you have taken some assessment to evaluate your strength and weaknesses, and if there is an expert who is experienced and qualified to assist you to craft your steps, then it is referred to as career assessment. This is the basic difference between career planning and career assessment. Check what your present status is. What you are doing right now. Figure out what you are interested in. Keep in mind how you derive the process what you are really interested in. Whatever you are planning, you need to be aware about what is needed to be done (educational qualification / experience etc). Utilize your strengths - how you relate to your present educational qualifications and work force. Whenever there is a doubt, you need to get back to your strengths and match your strengths to market reality. Rather, learn some skills to adjust to the market reality. Many a times, young adults choose a career / course thinking what is available in the job market. This might lead to a difficult situation as market reality is never constant; it keeps on changing with economic situation, introduction of new technology and need of the people or system. If you follow the above process, then you can adjust to the market reality if needed and reach success within a certain time frame. Choosing the right career can be very rewarding with the right career guidance. The professional life of a student depends on the career choice and the course choice made by them during the transition years of their life. Career guidance is very important at this transition phase because it helps in making their decisions with much more ease and after being well informed. Besides, students are often at crossroads when it comes to making a decision about what course to pursue or what career to get into. With a plethora of options in front of them, and a lack of proper knowledge about the requirement for these options often leads to incorrect career decisions. Not just this, more often than not, students get easily influenced by what their parents advise them, or what their friends are doing. Most of them even get influenced by the glamour and look-and-feel offered by a particular career, and they jump into the pursuit of a make-believe “perfect” career. What parents and students fail to understand is that a career decision should never be based on what it looks like on the surface or how “popular”, “successful” or “safe” it seems to be. The “RIGHT CAREER” for each person varies, based on their own aptitude, personality and interests. That is why, an understanding of one’s aptitude, personality and interest is very crucial from the perspective of choosing a career. A career assessment done after weighing in the aptitude, personality and interests of the student, along with an understanding of the economic background of the student, and then relating it to the market reality leads to a more informed and correct career decision. This is precisely why the role of a career counselor is extremely important in this modern age. MapMyTalent offers valuable career guidance to assist the students who are in the age bracket of 14 to 24 years. The career guidance is based on a scientifically developed and simple career test which helps in analyzing the aptitude, personality and interests of the student. Based on the career assessment, the students are provided career guidance to help them make the right academic and career decisions. Not just this, the online career assessment at MapMyTalent also helps in a proper through-and-through career planning for the student as well. Students get a detailed report on what are their aptitude, personality and interests. They also get information on different career options available to them. Are you looking for some expert career counseling? Get Career Counselling from experts!